Preparing the next generation to inherit and lead the family enterprise is the single most important determinant of a successful generational handoff. It depends significantly on both the senior generation and the next generation taking active roles in the process. Every year since 1997 at the Families in Business program at Harvard Business School, business families have discussed what each generation can do to help the next generation develop as effective managers, owners, and family members. 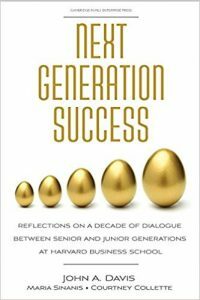 Next Generation Success offers a convenient summary of these rich conversations over a 10-year period with more than 250 families from 45 countries.